3D-P solutions make Smart IoT (Internet of Things) a reality for mining. Through a complete range of wireless connectivity solutions, custom wireless design specific to the challenges of the industry, and the powerful edge-computing capabilities of the Intelligent Endpoint® (IEP) product line, 3D-P provides both the connectivity and edge computing capability necessary for optimal management of your operations every day. With a strict focus on outdoor industrial networks, and specializing in both above and underground mines, 3D-P provides design, deployment, optimization, and support services for purpose-built wireless networks that support our customers’ specific mobility and data access requirements. 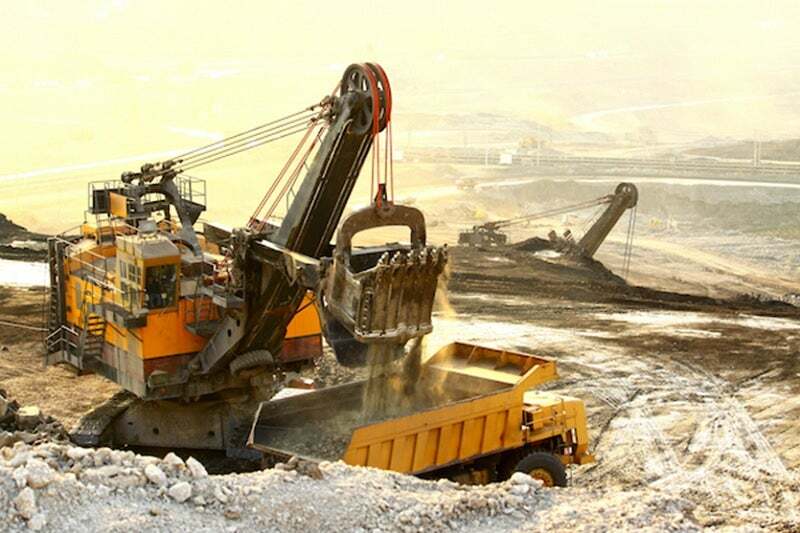 Our wireless networks are designed for real-time mine operations with design features which specifically target the unique challenges the mining environment presents. Working hand-in-hand with the network design, the 3D-P Intelligent Endpoint (IEP) is a highly capable edge-computing device. The IEP is an open computing platform with interfaces for communications to all mobile equipment systems and a broad suite of utility applications to manage data flow over the network, trigger actions based on geo-fences and monitor network performance. Native and third party applications can be hosted on the IEP, performing edge-computing functions which utilize the available data prior to sending it over the network, reducing the network load and the amount of expensive hardware on the equipment. Downloading of data can be prioritized by application, only allowed in specific geo-fenced areas or times, or allowed to utilize only a portion of the available bandwidth, helping to reduce and manage the load on the wireless network. Adding to the suite of applications already available on the IEP, the 3D-P production and maintenance reporting systems offer a cost-effective and easy-to-implement production and asset health solution. The iVolve-powered solution interface with the systems aboard the heavy equipment and reports in real-time through flexible and easy-to-use dashboards. The modular 3D-P production and maintenance reporting systems are designed to allow individual systems to be deployed based on each mine’s specific needs, from a single data point to full production and asset health when needs and scale change. Leveraging 20 years of mining wireless communication experience and readily available ruggedized network components, 3D-P now offers high-performance and cost-effective networks for underground mines. Overcoming the tracking and communication challenges with personnel and machinery typical to underground wireless communication systems, the 3D-P network can provide continuous network access through the mine and full 802.11n network speeds. Deployed networks allow real-time communication and data transfer between supervisors, and enabled vehicles and equipment, as well as real-time production and asset-health tracking. Established in 1996 to bring value-added technology to the mining industry, 3D-P was one of the first companies to introduce and promote purpose-built open networking and computing platforms for mining applications. Through its IEP, 3D-P’s objective was to end vendor lock-in and allow customers to adopt a ‘best of breed’ approach to solving their communications and technology needs. Today, 3D-P empowers mining operators to transition from ‘connected’ IoT to ‘smart’ IoT with vendor agnostic wireless network designs and powerful edge-computing platforms. We will discuss here five examples of how network downtime, even in a non-autonomous environment, can affect your productivity by impacting a variety of business units within your mine. Increased safety and industry competitiveness have been key drivers for digitalisation in mining. 3D-P Insight is a comprehensive tool, purpose-built for mining allowing you to easily monitor, trend, and alert on key business performance indicators. The Intelligent Endpoint (IEP) product line is a set of robust communication and computing devices designed specifically for mining and heavy industrial environments. The remote power stations from 3D-P allow you to quickly and cost-effectively deploy power to remote locations. Optimise load operations with real-time, accurate payload and centre of gravity. 3D-P’s Machine Health, powered by Honeywell’s Mobile Equipment Monitor (MEM) allows you to remotely monitor, analyze and improve fleet and operator performance in real-time. A mine in Northern Canada charged 3D-P to upgrade their wireless network and make it autonomy ready. The introduction of LTE (long-term evolution) to the wireless community has created much discussion around the possibilities of this new technology in the industrial wireless networking sector, and particularly in mining. Access to your data in real-time is becoming increasingly critical. The more data you push over our networks, the more you need to apply the lessons of Smart IoT. Most mines now have the ability to access some of their data in some ways, whether be in real-time, near real-time or manually. Ever since broadband wireless networks were first used at mines, there have been calls to send GPS corrections through these networks. An increase in safety, productivity and decrease of overall machine downtime have been key drivers for digitalization in mining. This process has, however, a cost that may have limited or slowed down some miners in deploying technologies at their site, due to a challenge in calculating and predicting ROI. Running a digital mine requires access to real-time monitoring data on all of your assets. With the large expensive equipment out in real-time, it’s easy to overlook the network that is relied upon to bring that data back to the office. No matter the size of your operations, digitalization has become a requirement for any mine aiming at remaining competitive. The digital transformation process does, however, vary from mine to mine, and is influenced by a large number of factors including financial, environmental, operational and safety. 3D-P and iVolve have recently completed the initial deployment of a cost-effective, scalable open platform asset health solution at the North American Coal's Sabine Mine in Hallsville, Texas. 3D-P, a global leader for providing wireless connectivity and IOT solutions for the mining industry, is pleased to announce the availability of high-performance, cost-effective wireless networks for underground mines. 3D-P has announced a partnership with Redline Communications to supply its backhaul and distribution networking equipment. 3D-P today announced the release of the 3D-P Production Reporting and 3D-P Maintenance Reporting systems, powered by iVolve, adding to its current portfolio of Application Integration Solutions and Wireless Network Services. 3D-P has been awarded the contract for the deployment of the wireless network at the Las Bambas Copper project near Cusco, Peru. When operational, Las Bambas is expected to become one of the top three copper producing mines in the world and shipment of the first concentrate is expected in the first quarter of 2016.